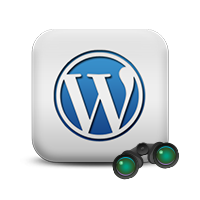 There are many ways to host your WordPress blog: free hosting, shared hosting or dedicated servers. Below are the popular plan types and tips to help you determine the best option for your WordPress Hosting needs. This is the most common form of WordPress hosting. It involves placing a website on a server that also hosts many other sites. In effect, you will get inexpensive hosting with good services. However, the performance of your website can improve or become worse according to the performance of other sites on the server. Still, shared hosting is a good option for beginners and can be substituted with better alternatives as your site gets popular. Pros and Cons: easy to set up and affordable but server performance may not always be reliable. Business Plans are a step above shared hosting. With business hosting the servers have fewer accounts and run faster with strong technical support. We tell people/businesses to consider WordPress Business Hosting if you have a website that makes money or supports your offline business. Pros and Cons: reliable option but less than Dedicated or VPS hosting. It is also ore expensive than shared hosting plans. under such WordPress hosting, you will be the only person using the virtual server and have the power to make operating system and web server changes. This is not available in case of previous options. this includes high-end hosting services that are quite expensive and feature great benefits. unlike dedicated server hosting, cloud hosting does not keep your site on a specific server. Instead, it lives on several servers so that no problem can influence its performance. there are certain companies that provide specialized service for WordPress Hosting. This includes servers, software, installation and maintenance of WordPress for you. this plan enables you to reseller server space and make money from support services. As the name suggests, this involves the use of energy saving servers to host websites. This kind of WordPress Hosting is affordable but highly reliable. One of the best alternatives for inexpensive hosting, this includes basic plans offered by well known companies.